May 1993. Who thought it would have been so long ago and how long it took for me to evolve into the human being that I am today? Who thought it would take 23 years for me to reach a state where I am a different person than I was in the spring of 1993 when I graduated from Anchor Bay High School on Sugarbush Road. * (*Note: It’s now Anchor Bay Middle School South on that road.) And no, I’m not talking about the Anchor Bay High School that’s on County Line – the one that was built in 1999 when Chesterfield Township voters – who have always been the school district’s electorate – passed a $116 million bond proposal to build a new high school and upgrade the old building so that it could become a middle school. I’m talking about my old high school, which I began attending in the fall of 1989 and graduated in early 1993. 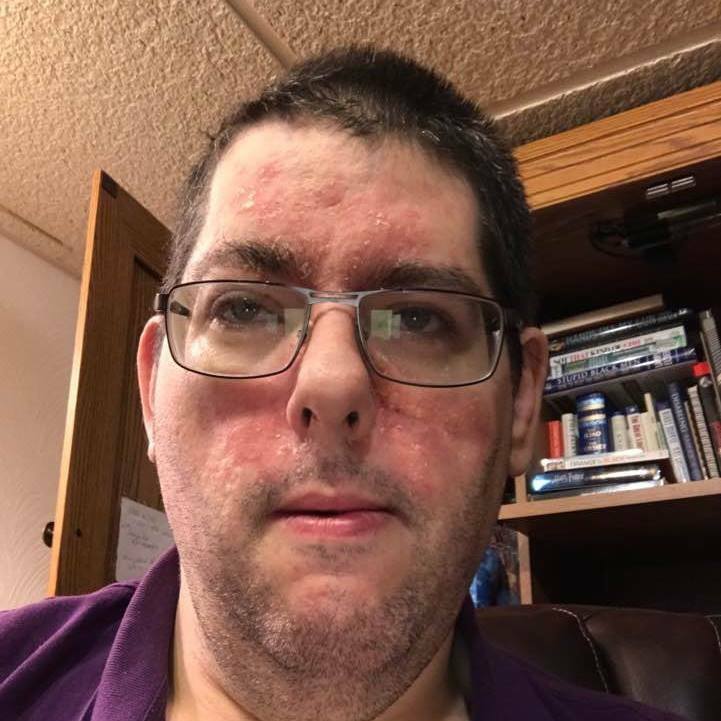 For the most part, except for a skin disease with which I struggled throughout the rest of my childhood up though my young adult years and my weight problems, I was (and still am) an obese man. I had developed some minor health issues over the years, but nothing life threatening…….up until now. From after February 11, 2011 (the day my father James M. Barnett passed away from cirrhosis of the liver, which predated 20 years before) up until November 22, 2016 today, I had developed a number of health issues such as Type 2 diabetes, idiopathic thrombocytopenic purpora (ITP, which is a blood clotting disorder, resulting in a significant loss of platelets in my blood needed to clot my blood normally), neuropathy, hepatic encephalopathy and encephalopathy (both of which is caused by non-alcoholic stage 4 cirrhosis of the liver, which is what I have), high blood pressure, an open leg wound which is nearly healed and a number of other problems that would take a while to explain. That needs to be treated with a pharmaceutical called Lactulose which removes toxic ammonia from my bloodstream; otherwise, I’d be in a hepatic coma. Stage 4 is the final stage in which liver failure results, which means I have constant fatigue, diarrhea, and at times vomiting, although the good news for me is that at my young age, if I lose enough weight and eat very healthy constantly, I improve my chances to receive a healthy new liver. Yes, I can have a liver transplant…..but only if I act fast and lose this weight. Why? It’s simple. I’m going to say this once and *ONLY* once: I have two years to live. That’s right. I only have two years to live, according to my gastroenterologist Dr. Gurpreet Singh who’s a resident in the Henry Ford Health System. It scares me a lot. I’ve tried many diets and many things to lose weight, and none of them seem to work. I am, however, open to dietary and nutritious suggestions for extremely healthy eating that will re-energize my wellness and my ability to live far, far longer than I ever thought possible. I am not afraid to die, but I am afraid of how I’m dying. I am reaching out to my colleagues in the libertarian movement. I need help with suggestions. I don’t want my life to end like this. I need all the support I can get. If any of you have any suggestions, please tell me. Liver healthy and weight loss recipes and exercise suggestions would make all the difference in the world. To my fellow libertarian Wiccans and Pagans: please cast some healing, energy, and life-saving spells for me. Herbs and homeopathic remedies to aid in the healing of my mind, body, and spirit…..as well as my liver…..would be most welcome. I’ve never asked anyone for anything, because I don’t like to beg for welfare and help, but I don’t know exactly how much time I have. I want to live. I want to find love. I want to be successful. My journey faces an epilogue the likes of which I never pondered. I’m not expecting sympathy and empathy, but I am expecting some compassion….or at least some morsel of it. Please help me. I don’t mean to beg, but I must. I need all the support that I can muster. I need all the support. 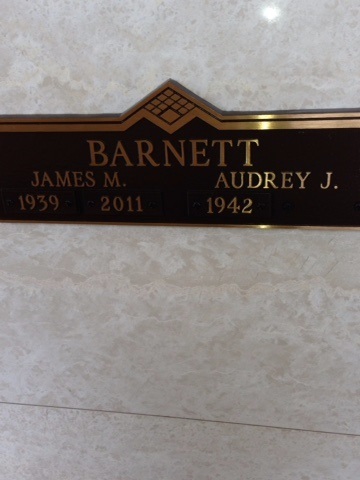 When my father passed away on February 11, 2016, it made me face my own mortality. Now my mortality faces me, and I’m staring right back at it. If I die, and I hope one day I will face that time, it will be on my own terms, not on Death’s terms and not on the gods and goddesses. It will be my own. Help me find the new meaning of my life. I’m not asking for money, but if you see me, hug me, laugh with me, pray for me, cast spells for me, and be there for me and with me. That’s all that I can expect from you. It’s all anyone can expect. Most of all, be my friend, because I feel alone, and in my own darkest hour, I face it. Dr. Singh says that there are presently 70,000 livers in the U.S. alone. Out of that stock only 7,000 are granted to new liver transplant patients. If I need a liver transplant, I need it sooner rather than later. If I need to smoke marijuana, and I’m not desperate to break the law regarding that but I’m desperate to try anything including that, then I will pursue it. No government, no doctor, no bureaucracy, no insurance company – that is, *NO ONE* – has the right to decide whether I live or die. I decide that, and I choose to live. And I will fight this illness to the very end, no matter what it takes. Will anyone do this for me? I hope so, and I’m relying on you to help me no matter the cost. Leave the light on. We’re gonna need to use it to see it. It’s better to see where we are than to be blind in a room which we can’t see with our own eyes. I’m in this all the way. Are you? My father was a good man. He had his faults and his shortcomings when he was alive, but at least he was a good man dedicated to his family, his career with the Ford Motor Company, and his passions and interests that defined him entirely. 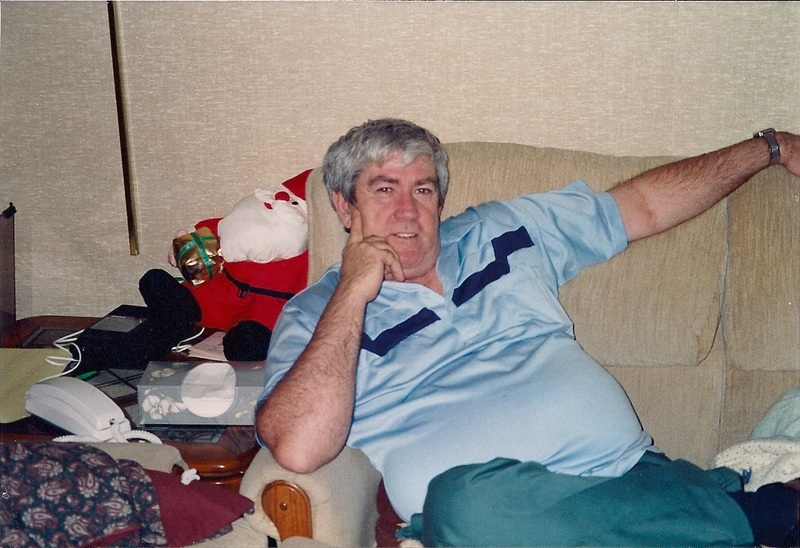 James Marshall Barnett, who passed away from end-stage four cirrhosis of the liver which had predated 20 years, passed away on February 11, 2011. Today is the day to remember and to honor and cherish not only the last gasping breaths of his life but to remember him for who he was – a wonderful father, a loving husband, and a hard-working man who accomplished a great deal in his life. He served in the United States Marine Corps, which he served for 12 years until he was honorably discharged. We love you, Dad, now and forever! I will pen a piece on my dad, giving my reflections on a later date and showcasing how things have changed for me and my entire family five years after his demise.